Earn $149.95 in Rewards credit. Click to learn more. 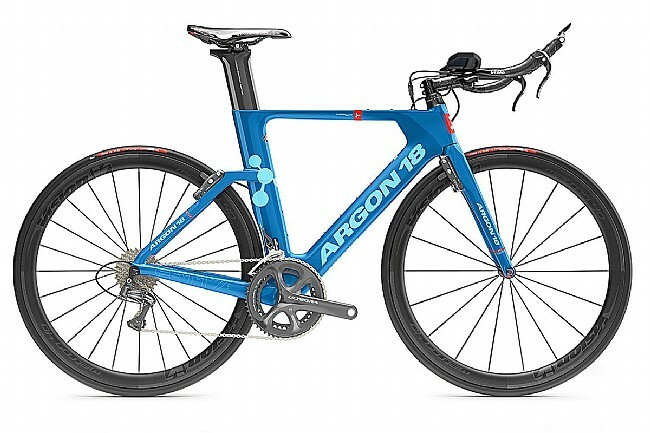 The Argon18 E-117 Shimano Ultegra Triathlon Bike is a fast and comfortable triathlon bike designed to meet the needs of all triathletes — young or old, experienced or novice. 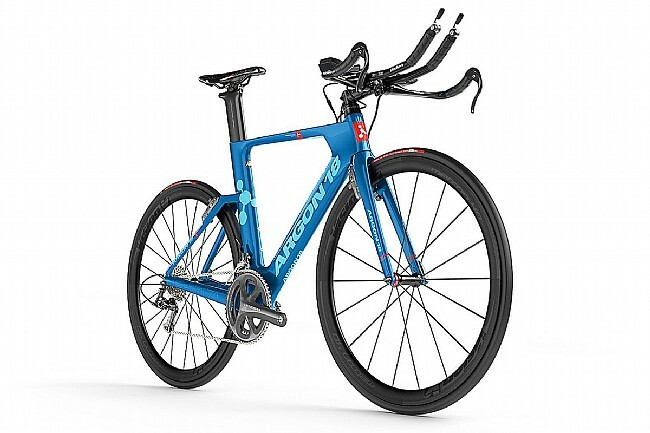 Moreover, thanks to its proven aerodynamics and triathlon-specific geometry, the E-117 Tri will help you rise to your every challenge and overcome any and every obstacle in your path. Frame Material: Carbon fiber, Nanotech tubing. Headset: FSA 37E + 3D 1 1/4". Shifters: Shimano Dura Ace SL-BSR1. Crankset: Shimano Ultegra R8000 52/36t. Bottom Bracket: Shimano BB Press Fit SM-BB71-41B. Cassette: Shimano Ultegra R8000 12/25t. Handlebar: Vision Team Alloy OS Basebar w/ Vision Trimax clip-on alloy aero extensions..
Saddle: Prologo Zero Tri Pas (STN). Seatpost: Argon 18 ASP-7050 carbon. Tires: Vittoria Zaffiro Pro 700x25mm. Manufacturer Warranty: 3 years, extendable to 5 years with online registration within 30 days of purchase.